Most travellers to Vietnam are attracted by the country’s wonderful natural beauty: From green rice fields dotted with the conical hats of workers in Vietnam’s north stretching to the fascinating bustle of the Mekong Delta in the south. It’s a place where handmade water puppets spin elaborate tales, singing kites soar overhead, highland markets promise the hope of love to young villagers, and Mekong River markets float. Shaped like an elongated ‘S’, Vietnam stretches along the east coast of the Indochinese Peninsula and shares a border with the Gulf of Tonkin, Gulf of Thailand, South China Sea alongside China, Laos and Cambodia. The lush Red River Delta and the highlands in the north, known for their magnificent scenery and colourful hill tribes, complement the agricultural plains and floating markets of the Mekong Delta in the south perfectly. Vietnam’s history is very evident. The occupation by the French and the Americans as well as the impact of Japanese and Chinese trade means that visitors to Vietnam get to experience different cultures, architecture and food. The quaint town of Hoi An, once a major trading port, boasts the perfectly preserved architectural influences of the Asian merchants from the north, while the broad leafy boulevards of the capital Hanoi and Ho Chi Minh City are reminiscent of France. Ancient temples and colourful pagodas are scattered throughout the urban centres, while among them stand hotels of modern luxury. Despite rapid economic expansion over recent years, Vietnam’s cultural roots remain strong. It is a country that reveres its past heroes, a nation that has collectively put the woes of war behind it, and houses a people who welcome visitors to their country with open arms and friendly smiles. Religion: Mahayana Buddhism heavily mixed with Confucianism, Taoism and indigenous Vietnamese beliefs. When deciding the best time to visit Vietnam, you need to take into consideration the country’s tropical monsoon climate. The south or south-westerly monsoon is prominent from May to September and the northeast from October to April. The southern summer monsoon brings rain to the two deltas and west-facing slopes, while the cold winter monsoon picks up moisture over the Gulf of Tonkin and dumps it along the central coast and the eastern edge of the central highlands. Within this basic pattern there are marked differences according to altitude and latitude; temperatures in the south remain equable all year round, while the north experiences distinct seasonal variations. In southern Vietnam the dry season lasts from December to late April or May, and the rains from May through to November. Daytime temperatures in the region rarely drop below 20°C, occasionally hitting 40°C during the hottest months (March, April and May). The climate of the central highlands generally follows the same pattern, though temperatures are cooler, especially at night. Along the central coast the rainfall pattern reverses. Around Nha Trang the wet season starts in November and continues through December. Further north, around Hué and Da Nang, the rains last a bit longer, from September to February. Temperatures reach their maximum (often in the upper 30s) from June to August. The northern stretches of this coastal region experience a more extreme climate, with a shorter rainy season (peaking in Sept and Oct) and a hot dry summer. General the typhoon season lasts from August to November. Northern Vietnam is generally warm and sunny from October to December, after which cold winter weather sets in, accompanied by fine persistent mists which can last for several days. Temperatures begin to rise again in March, building to summer – occasionally reaching up to 40°C between May and August, though average temperatures in Hanoi hover around a reasonable 30°C. However, summer is also the rainy season with heavy downpours. The northern mountains share the same basic regime, though temperatures are considerably cooler and higher regions see ground frosts, or even a rare snowfall, during the winter (Dec–Feb). With such a complicated weather picture, there’s no one particular season to recommend as the best time for visiting Vietnam. Overall, autumn (Sept–Dec) and spring (March and April) are probably the most favourable seasons if you’re covering the whole country. Each region in this beautiful country has something different to offer . Some areas are more developed than others but the below are places what ne should make the time to visit. 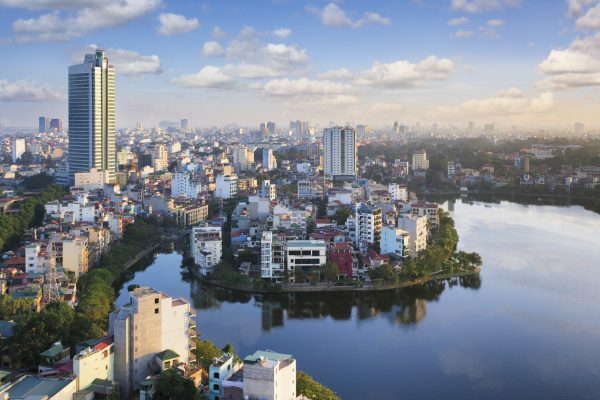 Hanoi, the capital of Vietnam offers a fascinating blend of East and West, with Chinese influence from centuries of dominance, and French design from its colonial past. It is largely unspoiled by modern architecture of the 1970s and 80s, and is now going through a modernization that is making it a rising star in Southeast Asia. Despite this modernization, Hanoi still has many ancient architectural works including the Old Quarter and over 600 pagodas and temples. Famous sites include the One Pillar Pagoda (built in 1049), the Temple of Literature (built in 1070), Hanoi Citadel, Hanoi Opera House and President Ho Chi Minh’s Mausoleum. It also contains 18 beautiful lakes such as Hoan Kiem Lake, West Lake, and Truc Bach Lake, which are the lungs of the city, with their surrounding gardens and trees providing a vital source of energy. 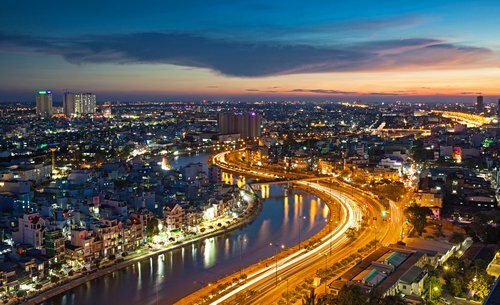 Ho Chi Minh City, formerly named Saigon, is Vietnam’s largest city. Ho Chi Minh’s history is only 300 years old. Today Ho Chi Minh is very much the heart of the Vietnamese business world and its entrepreneurs. And yet the city still retains its connections to the past, particularly in Cho Lon, Ho Chi Minh’s Chinatown. Here dozens of elegant temples and pagodas can be found. The French also left their marks with some fine colonial-era buildings such as the Notre Dame Cathedral and the Central Post Office. Ha Long Bay is located in Quang Ninh province. The bay features thousands of limestone karsts and isles in various sizes and shapes. Ha Long Bay is a natural wonder that turns thousands of stone islands into a stunning sculptural and artistic works of various graceful shapes, both familiar and strange to human beings. Inside the stone islands are various breath-taking caves like Thien Cung, Dau Go, Sung Sot, and others. These are truly magnificent palaces of many huge stalactites hanging poised in midair and stalagmites growing majestically upwards. Ha Long’s sea always offers a beautiful blue, smooth and still surface. The Sapa district that lies in the Hoang Lien Son mountain ranger near the Chinese border in north-western Vietnam is famous for both its fine, rugged scenery and its rich cultural diversity. Sapa and its surrounding region is host to many hill tribes, as well as rice terraces, lush vegetation, and Fansipan, the highest peak in Vietnam. The impressive physical landscape is a result of the work of the elements over thousands of years, wearing away the underlying rock. The quaint riverside town of Hoi An was an important port town and one of the major trading centres in South East Asia during the 16th and 17th centuries. The cultural influences of the Japanese and Chinese merchants are still evident today in the town’s architecture, with the famous Japanese Covered Bridge and the distinctly Chinese atmosphere of the Old Quarter forming part of its unique character. Hoi An is becoming an increasingly popular tourist destination, not only for its attractive old-world atmosphere and genuine friendliness, but also for its quaint restaurants, serving delicious Hoi An specialities, and tailor-made clothes. Two miles (4km) to the east of Hoi An is the beach of Cua Dai, considered to be one of the most beautiful beaches in Central Vietnam, with its long white sandy stretch. From Hoi An, visitors can make trips to the large marble rock formations ‘The Marble Mountains’, which are closer to Da Nang, or take a short river cruise. Travellers going north or south can make this a great stop, if only to step back for a while into Vietnamese history. Former capital of the emperors of the Nguyen Dynasty, the royal city of Hué is situated on the country’s central coast, midway between Hanoi and Ho Chi Minh City. This area is ideal for travellers looking for a quiet place. Its a small city of canals with splendid historical sites, and is dominated by its massive Citadel, and the former Forbidden Purple City. Even though most of the beautiful architecture was destroyed when the North Vietnamese launched an attack on the south, it retains much of its cultural identity and has been recognised as a Cultural World Heritage Site. Hué is also the main starting point for day tours to the DMZ (Demilitarised Zone), a historical area spanning both sides of the former border between North and South Vietnam, and the Vinh Moc underground tunnels. Capital of Lam Dong Province, located in Vietnam’s central highlands region, Da Lat is a popular tourist destination, offering sun-burned travellers an Alpine haven, ideal for rest and recuperation. Full of, the city’s natural surrounds are also staggeringly picturesque – attested to by the fact that in Vietnamese, ‘Da Lat’ means ‘city of thousands of pine trees’. For those looking for an ‘Alpine heaven’ then this now popular tourist destination Da Lat is an ideal place. The area is extremely picturesque, green and is full of beautiful French Colonial architecture. There is much to see and to explore in the city’s misty surrounding valleys, including Truc Lam, a working Buddhist monastery in a pristine pine forest setting; Lang Bian, a nearby mountain with spectacular scenery, that you can hike up in three hours; the Da Lat Flower Park, where the area’s famous orchids and roses take centre-stage; and Elephant Falls, a picture-perfect collection of waterfalls that is guaranteed to thrill the most jaded of travellers. Located in the Gulf of Siam, Phu Quoc is Vietnam’s largest island, and is fast becoming a very popular tourist destination from visitors all over the world. This densely-forested mountainous island is surrounded by some of the most beautiful and unspoilt beaches in the whole of southeast Asia. This is an ideal place for those seeking a beach holiday to come for a week or two. Relax on the beach, sample some of the famous seafood, shop for pearls in the fishing village of Ham Minh or head off to Phu Quoc National Park to hike and swim in a tranquil mountain pools.